To be true to the area's rich history, the Sedona single day tour gives you a chance to explore ancient Native American civilization.You'll visit the ruins at Montezuma Castle National Monument. Montezuma Castle National Monument is the most easily accessible, best preserved and arguably the most spectacular cliff ruins in North America. You'll see an impressive 20-room, 5-story structure built into the recess of a white limestone cliff about 70 feet (21 meters) above the ground. 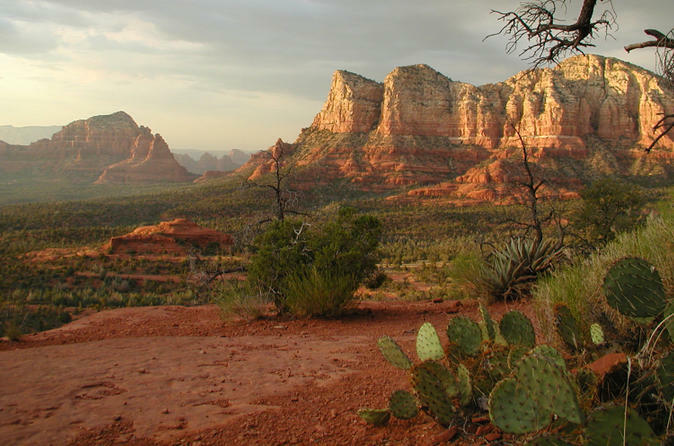 Before heading back to Phoenix you will also visit The Chapel of the Holy Cross, an iconic Catholic chapel built into the mesas of Sedona, Arizona and Bell Rock, one of Sedona's most popular red rock formations.